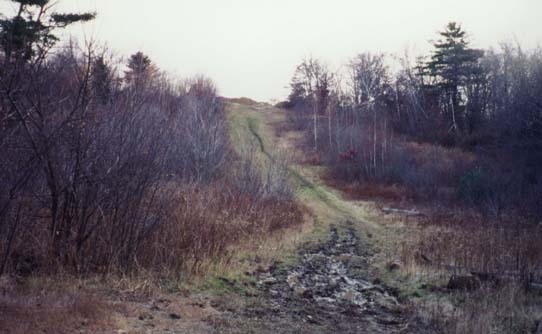 Hamilton Slopes was a small ski area that operated in the town of Hamilton, MA off Moulton Street. It was likely founded sometime in the 1960's and lasted until the early 1980's. Day and night skiing was available on a season that stretched from December to March. In 1971, it had 2 rope tows, 4 slopes, and 2 trails. Facilities included a snack bar and ski instruction (A Guide to the Pilgrim State). In 1982, the area had expanded to include one J-bar (from Boston Hills) and 5 rope tows according to Billy Kidd's Ski Guide, though the 5 rope tows are doubtful. According to the Mass Tramway reports provided by Kevin Thomas, the area closed in 1985. The base lodge was still standing in 1995, and was removed/burned? sometime in the mid - late 1990's. Here's a Terraserver Pic, found by Betsy McDonough. Notice the lodge was still standing, and that there was a trail that went along the left edge of the area. A rope tow served a slope on the back side of the hill, but was rarely open due to its southern exposure. Thanks to "rschuiteman", NELSAP has the following 4 pictures of the area from the mid to late 1980's. The area was abandoned by then, and had already deteriorated. Sitting outside the old base lodge. A sign for the ski area, also showing that it had snowmaking. Looking down the slope after a light snowfall. Base lodge visible, as is rope tow to right. Inside the abandoned lodge was signage. Notice the vandalism. Betsy McDonough and I found this ski area in November of 1999. Its hard to believe that the area had 6 lifts and 6 trails! Its really not that big of a hill. He remembers skiing there as a kid. He's pretty sure the J-Bar came from Boston Hills. He thinks Boston Hills got rid of the J when they put their chair in. He remembers people making a big deal out of getting the J-Bar because all they had were ropes. Also, he remembers that there may have been a trail down the back side. 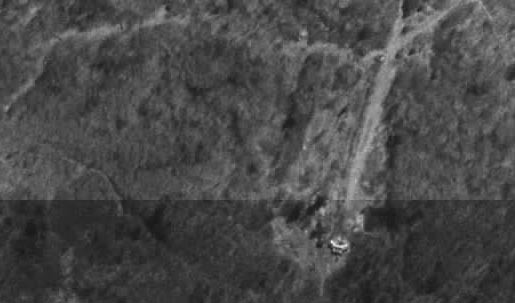 The J-Bar lift line was right where the J-Bar was found. 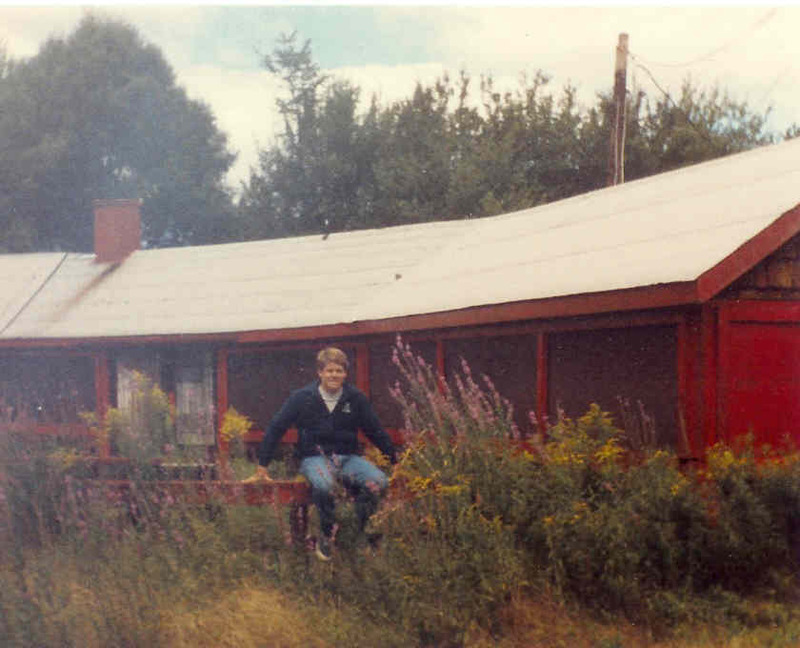 The lodge burned down, probably in the late 80s, early 90s. The lodge building was to the right of the J-Bar. There was a snack bar and a repair shop. Thinks it was owned by the Clark family of Hamilton, who used to also own Attitash, during the 70s and 80s. They also used to blast music, described as "patriotic:"
Here are some photos of the ski area, taken in Nov. 1999. Here's the view of Hamilton from the bottom. Old rope tow towers lie in the grass next to the patch of mud. You can see the main slope in the center of the photo. The J-bar went up through the woods on the far left. 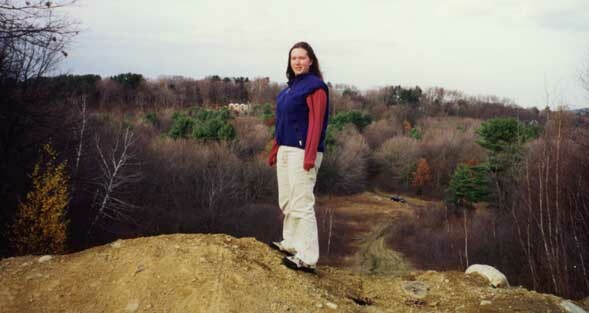 Here's Betsy McDonough standing at the top of the slope. You can see that the slope is not all that steep or long. The flat area at the bottom is where the snack bar used to be. Here's Jeremy standing with a J-bar found in the woods! It had several coats of paint on it: red, yellow, and green. BScalzillo: I learned to ski in the early-mid 60's at Hamilton slopes...it has a front and back side...if you could ski the back side you were considered a good skier! It had snowmaking way back then and did a good job at it. It was small, but at a young age it was the place to go at night to ski. Will Bloombergh: There was a trail down the backside of Hamilton Hill but I only remember 3-4 rope tows. They served the best hot chocolate. I remember loud alpine music (yodeling) on their outside speakers. Danielle Benoit: Thanks so much to you and Betsy for re-discovering Hamilton Ski Slopes. I grew up in Hamilton, about 1 mile away, on Blueberry Lane. And our family usually got season passes for "The Bump," as we used to call it. It's where I learned how to ski. And I have many fond memories of skiing there with friends and family. In the 70's, there were definitely at least three rope tows and the J-bar. The J-bar was painfully slow. We used to race it up the hill, by bird-stepping. Two of the rope tows went side-by-side, directly up the primary slope. The third went up the back slope. We used to build ski jumps on the back side and a few locals would practice aerials. Until the late 70's, there was usually a smaller jump on the front side, too. 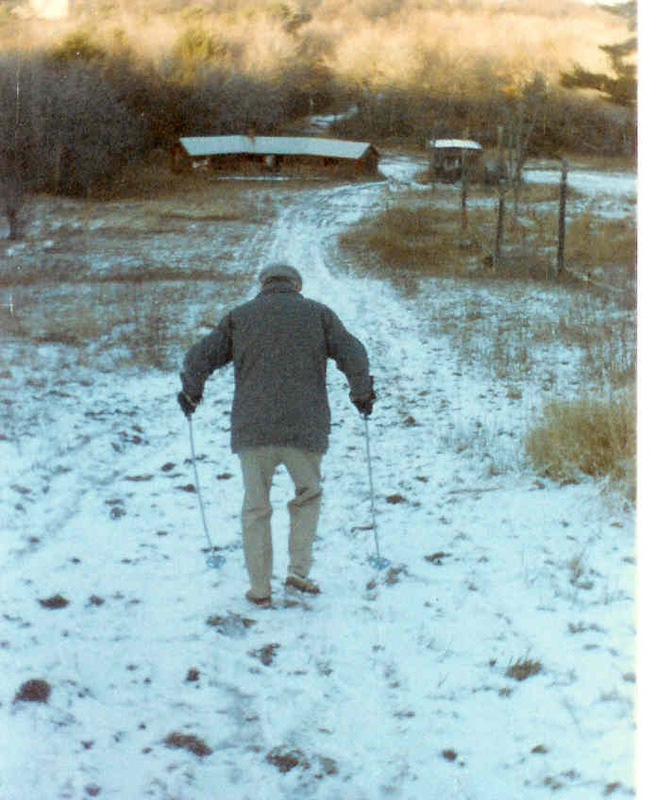 The woods on the front side were full of cat trails we made each year, especially in deep snow years. 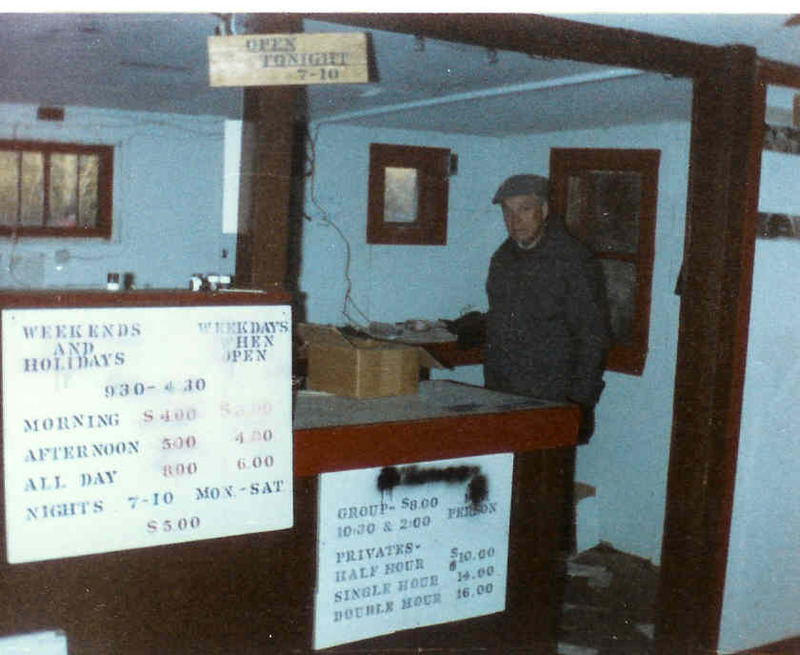 The "lodge" was divided into a refreshment area and a rental counter. There was a pinball machine that got lots of use from local teenagers. Believe it or not, the parking lot used to fill up on weekends... well, maybe there were still a few spots in the corners. But it was quite a hub of activity twenty years ago. I believe that The Bump was sold to a young owner in the 70's, who managed to keep it open quite a few years longer than it might have been under the management of a less committed person. "Hamilton Ski Slopes either replaced or quickly supplanted Seminary Hill--that rope tow was operating at least by 1954 and likely earlier. I recall a scout troop day of racing there at which I won a pair of Alberg straps, that lasted until very recently and may yet be in the cellar. The trail noted in relation to your aerial photo was a very pleasant downhill/crosscountry run with one tight and steep section." 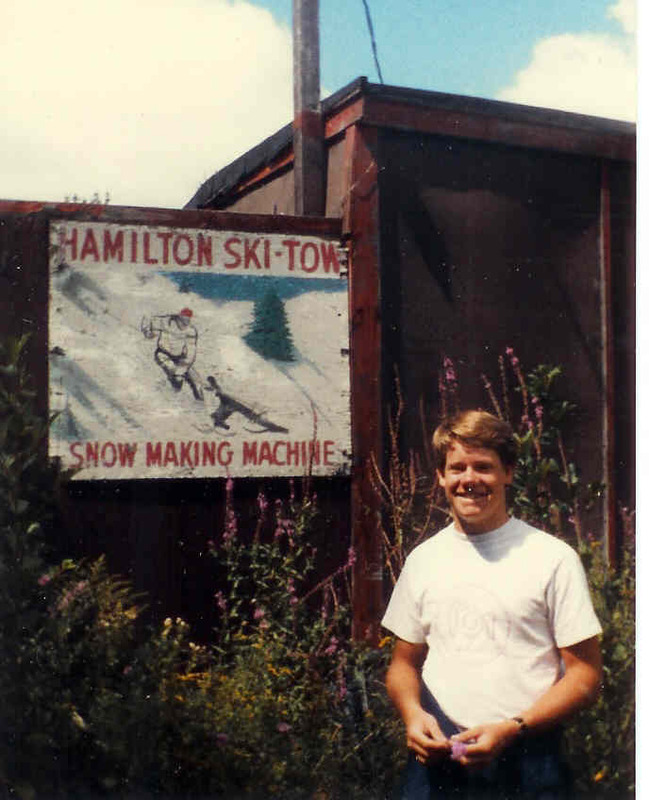 Kevin: Growing up in Hamilton I learned to first ski at “the bump” on Moulton St. in the late 60’s thanks to the Clark family who provided a great source of activity and enjoyment for the local kids. Do I remember those lace up boots and bear trap bindings! Thanks Dad. In the 70’s I had a season pass and earned my Boy Scout Skiing Merit Badge at the hill with Hamilton Troop 175 / It was one of the few. It is my understanding the hill did not close because of the disinterest of the Clark family, but a changing litigious society broke the spirit of the hill, which was to provide recreation for local kids and their families, not to be a profit center. Thank you to the Clark family for the opportunity to have such a great venue available. You helped to create a generation or two of avid skiers.